Snoek is always delicious on the braai. We’ve added peaches and herb remoulade and created the perfect summer feast! Go ahead, invite your friends over. You know you want to. Light a charcoal fire and allow to burn to coals. Place the egg, mustard and garlic into a blender, and blitz for a few seconds. Add the oil in 3 batches to make a thick mayonnaise, and finish with the vinegar. Stir in the spring onion, parsley, dill cucumber, hard-boiled egg and yoghurt. Season generously with Tabasco, salt and pepper. Brush the fish and peaches with melted butter, and grill over the hot coals, about 12 minutes on each side, depending on the thickness of the fish. Grill the peaches until soft, 7– 8 minutes on each side. Glaze the peaches with the maple syrup and caramelise, 2 – 3 minutes. 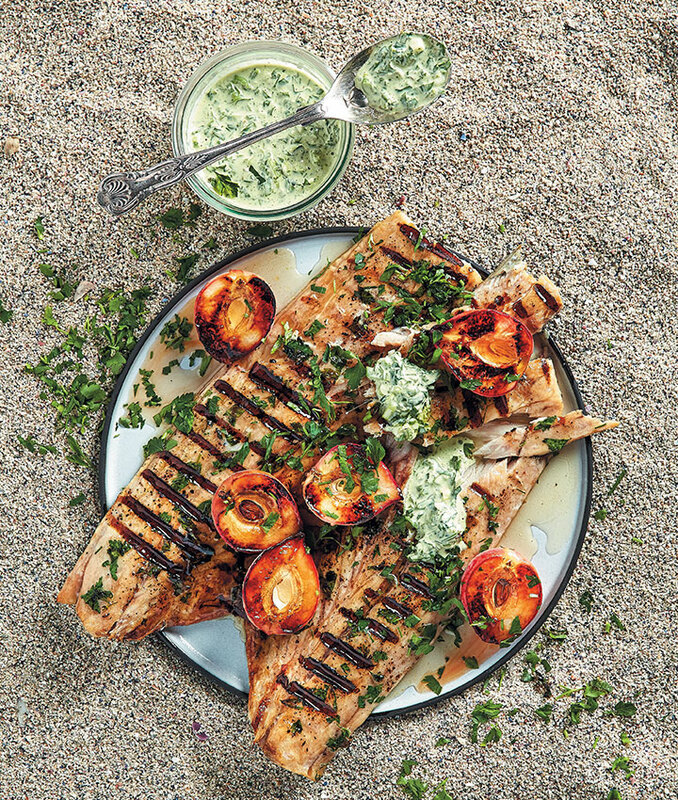 Top the grilled fish with the peaches and serve with the remoulade.